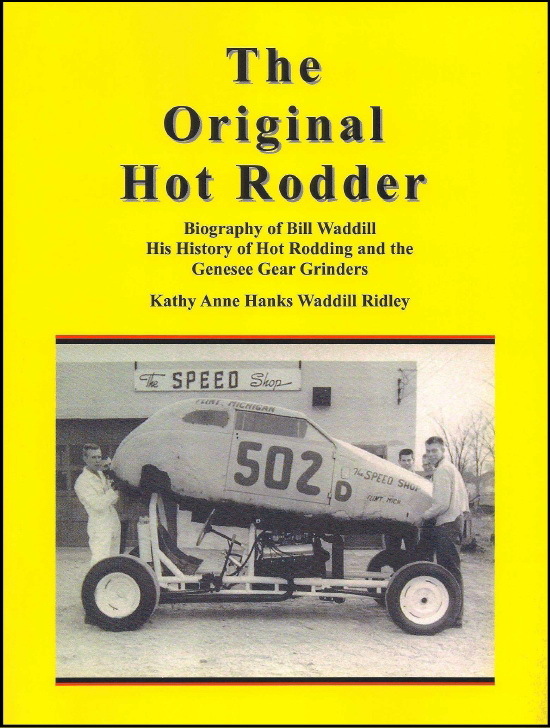 This book is a biography about my Dad, Bill Waddill, and his history of racing in the state of Michigan and on the national level starting in the 1940s when hot rodding first originated and ending when he died in 1989. It is also a history of the Genesee Gear Grinders, an early local hot rod club in which my dad was the first president and was an active member until 1963. My book has 250 pages (8” x 10.5”) with over 550 black and white and color photographs of early and vintage hot rodding. Waddill was the first man east of the Mississippi to set a Bonneville land speed record in 1952 (this is the car that is shown on the cover) and he set several national drag racing records. He also competed and was very successful in Reliability Runs, Gymkhanas, the Mexican Carerra Pan-Americana, sports car racing, and off-road racing in the Mint 400 and Baja 500. He attended many early car shows, including the first Autorama in Detroit in 1953, and consistently won “Best Engineered” and top honors in his class. He counted Mickey Thompson, Roger Huntington and Wally Parks among his many racing friends. It includes the story of how Mike Hazel and his website helped me find my Dad’s Henry J in 2002. This car was a very well-known and competitive drag car in the late 1950s and early 1960s, both locally and on the national level. My book is unique in that it is a hot rod book written by the daughter of a hot rodder, and many family stories and events are interrelated with early hot rodding history. It is available for $31.00 + $5.00 shipping (no handling). If you would like to purchase a copy, please contact myself, Kathy A. Ridley, at krandart@comcast.net for mailing instructions.